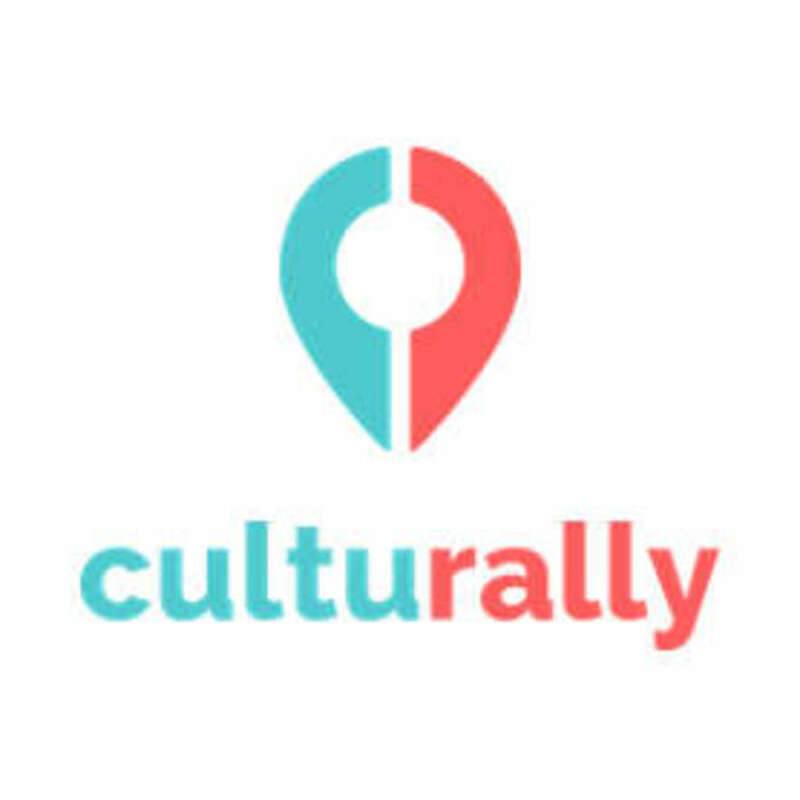 Being a multi-racial and multi-cultural society, many cuisines in Singapore are derived from multiple influences. Here are four dishes that you should not miss out! Hokkien Mee is a mixture of yellow noodles, vermicelli and fried egg stir-fried in a potent stock made from pork bones and prawn heads. It is typically topped with pieces of seafood, bean sprouts and pieces of pork belly. It is served with sambal chilli and lime on the side for an added zing! #1 Simply because Rochor Mee was first sold along Rochor Road in the 1930s where Hokkien sailors would stir-fry the excess noodles collected from noodle factories. #2 A stall beside the 7th Storey Hotel near Rochor Road first concocted this dish, hence its association with the road. #3 Rochor Mee is actually the Peranakan interpretation of Hokkien Mee but cooked with more gravy and served with sambal at the side. 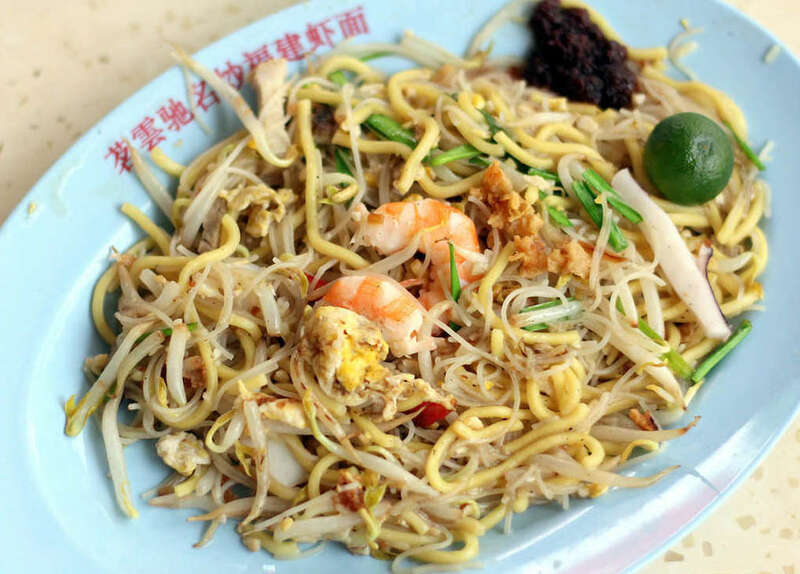 Regardless of the origin of Hokkien Mee, we know that this delightful dish is here to stay! Laksa is thick vermicelli served in a spicy soup stock flavoured with coconut milk and dried shrimps. It is topped with ingredients such as cockles, prawns and fishcake. 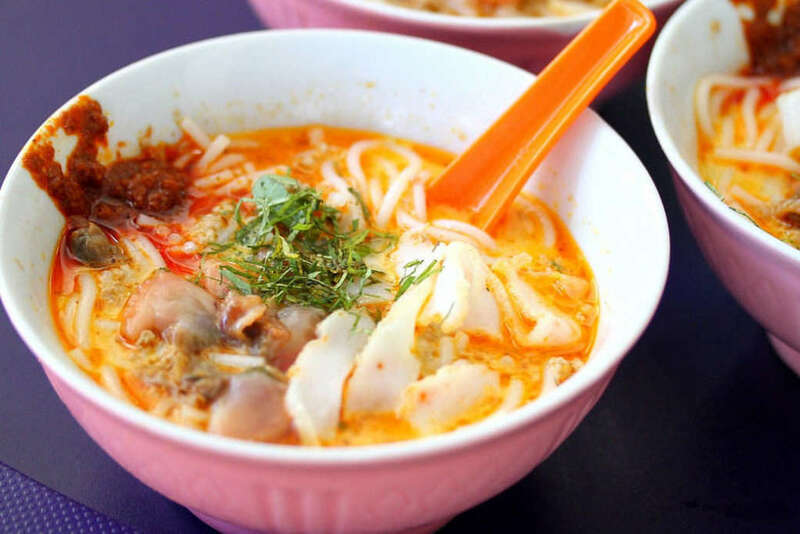 The intermarriage of Chinese traders and Peranakans resulted in the creation of culturally hybrid dishes and Laksa is one good example - the addition of coconut milk to Chinese noodle soup. Laksa is well-received due to its adaptability which allowed Peranakan women to easily recreate the dish at home for their husbands by adding their own ingredients. Two basic types of laksa are curry laksa and asam laksa. 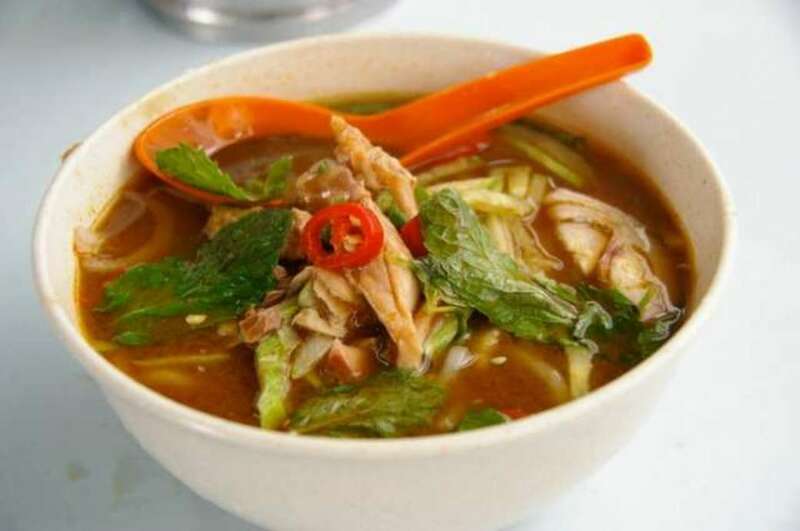 Curry Laksa has a coconut-based curry broth whereas asam laksa has a sour and spicy fish broth. Want to make your own laksa but don’t know how? Your solution is here! Chicken rice is steamed chicken paired with fragrant rice and garlic chilli paste. Chicken Rice was introduced to Singapore when the Hainanese from the Wenchang district arrived at Singapore in 1841 and brought their hometown staple dish - Wenchang Chicken Rice along. So… what’s the difference between Hainanese Chicken Rice and Singapore Chicken Rice? Instead of using older chicken like the Hainanese, the locals made the Wenchang Chicken Rice “Singaporean” by using younger chickens - that’s why our chicken is so tender! 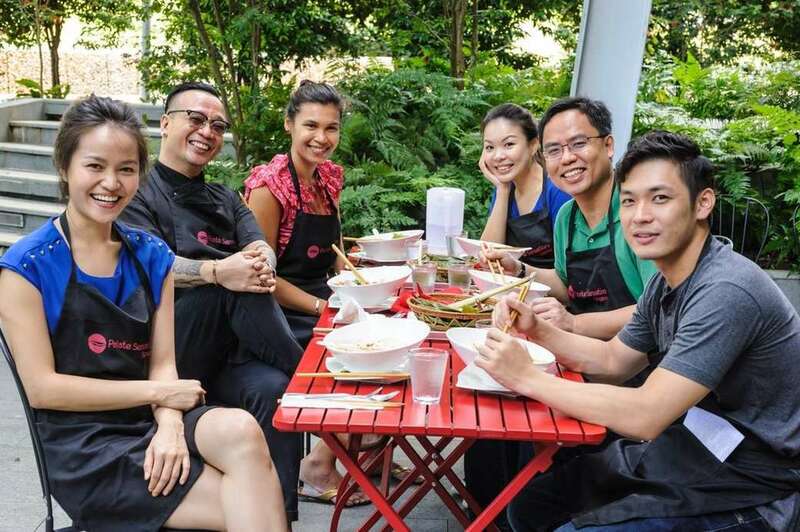 Here’s where you can make your own Chicken rice! Have you had these dishes? And did you know about these fun facts? Share with your friends, and go forth to cook your own favorite dishes together!